Long Haul Truck Drivers In High Demand For Canada Immigration in 2017 (Audio) - Canada Immigration and Visa Information. Canadian Immigration Services and Free Online Evaluation. February 24, 2017 – High demand for long-haul truck drivers (HGV Drivers) means a Canada visa is widely available to foreign workers looking for jobs in Canada, in this occupation. The Canadian trucking industry is facing a shortage of long haul drivers to the tune of 48,000 by 2024, meaning those seeking Canada immigration have an excellent opportunity. A search of Canada’s federal government’s job bank reveals nearly 4,000 vacancies, each one of them with a possible route to a Canada visa. This kind of demand means experienced applicants are likely to be successful with Canada immigration if applying to any of the provincial nominee programs. Interested candidates begin the process by obtaining a confirmed job offer that is approved by immigration Canada. Ideally an approved job offer will be in a province that offers Canadian permanent residence under a long-haul driver pilot project. 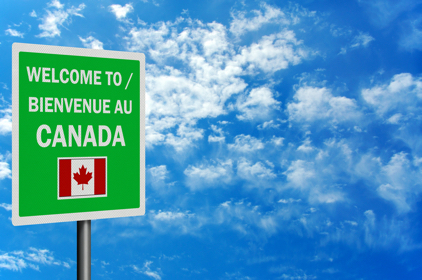 Immigration.ca through its in-house Global Recruiters of Montreal, works on behalf of a number of employers to source qualified foreign long haul drivers. Qualified candidates will receive a temporary Canada work permit. After a period of transition, candidates can apply for Canadian permanent residence (Canada immigration) under provincial nomination programs (PNP). The province of New Brunswick currently has specific recruitment avenues for truck drivers from Poland and the Ukraine. To qualify you must have experience as a truck driver or harvest machine operator in the last five years, plus meet other age and education requirements. The province recently held information session in New York, San Francisco and Atlanta hoping to attract US truck drivers to make the move north. The province has an established pilot project offering Canadian permanent residence. Click here for more information on the New Brunswick Provincial Nominee Program. Quebec leads the way in terms of provincial vacancies for truck drivers, with nearly 1,500 job ads currently live. Labour market information on the Quebec government’s employment website singles out the profession as one of the most in demand in the whole province. Click here for more. More than 1,000 truck driver vacancies are being advertised in the province of Ontario. The Ontario PNP does not offer permanent residence to long haul drivers. The province does not list specific in-demand occupations, preferring to default to the federal government’s general classifications. Click here for more. In British Columbia, which has more than 500 vacancies on the job bank, the gold standard for candidates for its entry level and semi-skilled category is a full-time job offer in long-haul trucking. The province offers permanent residence for long-haul drivers. Click here for more. Long-haul drivers are also a key sought-after profession under the Alberta PNP, showing more than 300 vacancies on the job bank. The province has an established pilot project offering Canadian permanent residence. Click here for more. Officials from the Manitoba PNP recently held a series of information sessions in Vienna, Austria, where long-haul truck drivers, transportation managers and heavy machinery mechanics represented three of the five occupations being sought. The province has an established pilot project offering Canadian permanent residence. Click here for more. The Prince Edward Island PNP is currently operating a pilot critical worker stream, with truck drivers one of only five professions being sought for fast-track immigration to Canada’s smallest province. Click here for more. Saskatchewan does not specifically highlight truck drivers as an in-demand occupation, but it does single out heavy machinery mechanics and truck and bus mechanics. The province has an established pilot project offering Canadian permanent residence. Click here for more. Nova Scotia does not list truck drivers as a specific in-demand occupation. For more on the Nova Scotia immigration, click here. According to job bank and Statistics Canada data, the median wage is slightly below the national average, although it can rise to more than $8 above that average to $32 an hour in many cases. Currently, the primary avenue for trucking companies to hire workers from overseas is through the Temporary Foreign Worker Program (TFWP). Qualified applicants receive a Canada visa and depending on the province, can transition to an immigration visa or Canadian permanent residence. Canadian employers can access unparalleled immigration legal services and help with recruitment of foreign workers through our in-house enterprise Global Recruiters of Montreal. Find out whether you qualify to Canada by completing our free online evaluation. We will provide you with an evaluation within 1-2 business days.